LIVONIA, MI – Sometimes a stock bottle or jar will not satisfy a customer's packaging requirements. Recently an industry leader in household products needed to create a package that would improve shelf visibility, including better labeling, optimizing stacking, and of course, lowering costs. They turned to MJS Packaging who customized a 16 oz. square PET jar with an 89mm neck finish. The customer was satisfied with the increase in consumer awareness, strong shelf presence due to the unique stacking base. Productivity increased due to the consistent jar quality along with lower overall costs with the addition of jar cavitation. The labeling process was optimized due to the smooth radius on both side walls. 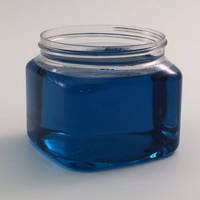 The jar is available in a full spectrum of colors for a bright and glossy appearance. This 16 oz. square jar is best suited for personal care, automotive, household chemical, and food products. A major packaging distributor founded in 1885, MJS Packaging operates eight sales offices throughout the United States. Corporate website is www.mjspackaging.com. 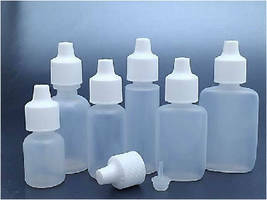 HDPE Bottles support changing CPSC requirements. E-Liquid Packaging targets vaping and e-cigarette markets.